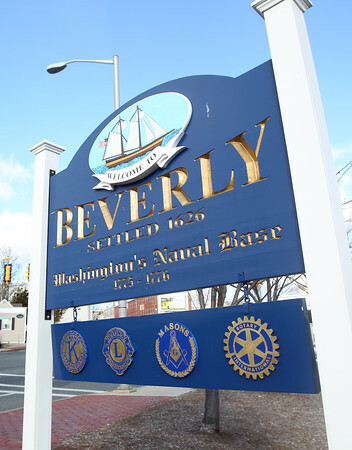 City of Beverly sign at the base of the Beverly-Salem Bridge. DAVID LE/Staff photo. 11/21/14.